This page is dedicated to where to meet, what flights to book, what to bring, how to rent gear, and details about money on the Hokkaido Storm Chaser. ​There are two options of where to meet the group. 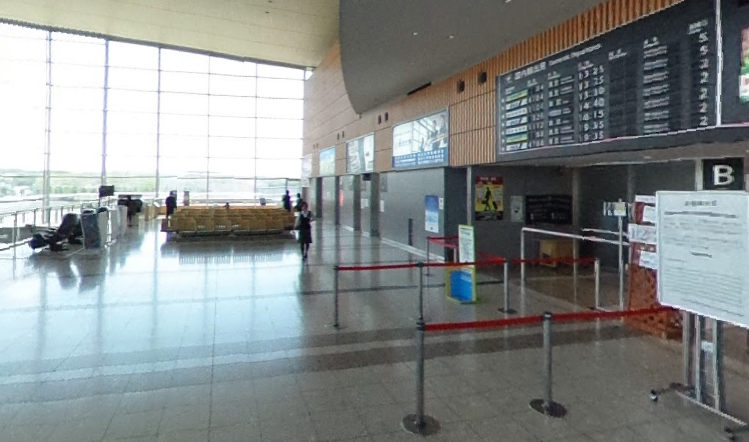 AKJ Airport is very small so it will be very easy to find the correct meeting point. As pictured to the left, the meeting point is the second floor Departures area. Since Arrivals is on the ground level, you'll need to take the escalators up one level to find the meeting point. The meeting point has chairs so you can be comfortable while you wait for the pickup. You can see very simple layout of this small airport here. Note that AKJ airport is only served by three airlines, all of which come from Tokyo's Haneda Airport. There are no flights which connect to AKJ from Tokyo's Narita Airport. Warning: Tokyo's NRT Airport and HND Airports are about 3 hours away from each other with infrequent public transport. If you're flying into NRT and want to fly to AKJ to meet the group, you should spend a night in Tokyo to make sure you can make the connection. The other option if you're committed to flying into NRT is option #2 below. 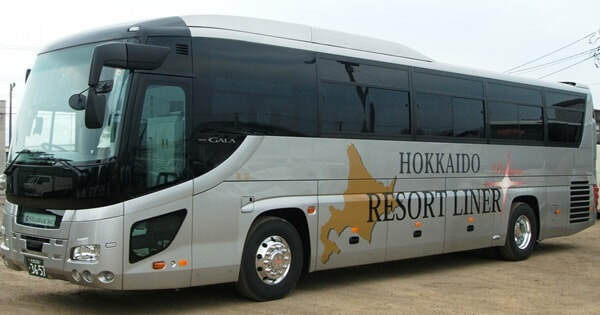 If you're committed to a round-trip flight to Sapporo's CTS Airport, you can hop on the 2pm Resort Liner bus which drops you off in front of our hotel at 5:15pm. Our hotel is the last stop on the bus so just wait until the end of the line and get off. In English the bus stop is called "Natulux Hotel (in front of JR Furano Station)". This bus gets booked out early so be sure to make your reservations well in advance. The cost of the bus is ¥4,000 and reservations can be made in advance online in English on their website here. The cost of the bus is not included in this trip. Pro Tip #2: Mailing your luggage. If you're planning on staying in Tokyo before the trip, you can mail your big clunky ski bag directly to the Natulux hotel in Furano for only 2,500yen. If you're spending an extra day or two in Japan after the trip, you can mail your ski bag directly from our hotel in Otaru to NRT or HND airports. It only takes 36 hours from the time to mail your bag until the time it's delivered. Arrive into Tokyo the day before the trip at 12pm and mail your bag to the Natulux hotel in Furano from the airport. Your baggage should arrive at the hotel before 9pm the next day. Before mailing your bag, be sure to confirm with them that it will be delivered by the night of the trip start date. In Japan, if they promise a delivery time, it'll be there when they say. Just like that, if you mail your bag you won't have to lug it around Tokyo, or where ever your travels take you in Japan. It's a big life saver, very reliable and incredibly reasonable. ​For more information on mailing bags, checkout this great article about how it's done here. While this trip starts in Asahikawa's AKJ airport or the last stop on the Resort Liner Bus, the trip ends with a drop off at Sapporo's CTS airport at 5pm on the final day. This means that you should not book any domestic flights that depart before 6pm and should not book any international flights that leave before 6:30. If flights at those times don't work for you, we recommend getting a hotel inside the airport or in the vicinity of the airport. We will drop you off at a hotel of your choosing within Chitose City, which is 15 minutes of the airport. The best and easiest hotel option is the Air Terminal Hotel which is located inside the CTS airport but it's a bit pricey. Lower cost options with free airport shuttle buses are abundant and start at about ¥5,000 per night. Note that we are unable to do drop-off's in Sapporo due to traffic problems. If you would like to get a hotel in Sapporo, you can take the train 30 minutes into town from the CTS Airport Train Station. A day pack. Very useful to bring a change of clothes when we stop by a Onsen Hot Springs on our way back from a day of skiing. Most people overpack for the Storm Chaser and regret bringing too much stuff. Aside from your ski gear, you only need 1-2 pairs of pants, 1-2 shirts, a sweatshirt, and puffy for around town. Rent your gear for a duration of 7 days. We only ski 6 days, but since we end in a different location from where we start, one additional day is required to mail the skis back to Harro's. When filling out the rental form, you'll want to select to rent the "Elite & Powder" options as this is their good quality powder equipment. You can make your rental reservation at this link here, the site is old school but the skis are new school! Be sure to inform your guide that you've rented skis on the first day of your trip. Your guide will drive you over there and assist in getting it all sorted out. 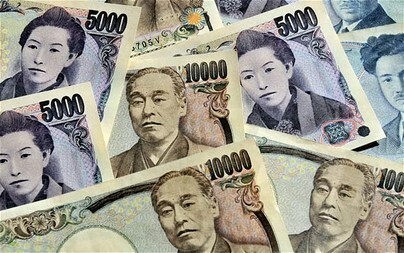 The currency in Japan is the Japanese Yen which is denoted by "JPY" or as "¥". First, you should know that Japan doesn't really like credit cards. While they are getting to be more accepted, you should only count on your credit card for 20% of your transactions. The rest of the time you'll be dependent on cash. As a tourist, there are two main ways of getting cash in Japan: 1) bring your home currency with you and exchange it at the currency exchange window, or 2) use ATM's within Japan to withdraw your funds. Currency exchange window. You can exchange your home currency into JPY after arriving in Japan. This is a very simple option as there is no bank to get in the way and decline your currency conversion. The simplicity has a price though because the exchange window doesn't give you the most advantageous rate. Withdraw funds from ATM's. You should be able to withdraw funds from any Seven Eleven ATM in Japan without a ATM fee. The conversion rate is great but sometimes banks have issues with Japanese ATM's which can cause them to block your transactions. Be sure to check with your bank before coming to see if they have a ATM withdrawal fee or currency conversion fee. If they do, it may be cheaper to just convert cash at a currency exchange window. The best idea is to show up in Japan with a few hundred dollars of your own currency, convert it in to JPY, then use ATM's after that. Be sure to call your bank and let them know you'll be making withdrawals from Japanese ATM's so they don't block your account! Looking at the What's Included page is a good starting point to get an idea of what you'll need to spend money on. Other then that, the amount of money you spend in Japan largely depends on your preferences. Do you want to eat sushi every day? Are you going for the most expensive sake? Will you be buying lots of souvenirs or electronics? Below is a cost estimate based on how much is spent daily on each item. Prices are in JPY. Over the 7-day trip, you can expect to spend ¥39,400 on the low end or ¥79,100 on the high end. Keep in mind that results will vary depending on your personal spending.